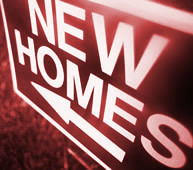 Job instability, a rocky economy, and lack of credit for homebuyers have changed the real estate market drastically over the past few years, causing more of the population to look for flexible living options instead of being locked into an uncertain housing market. The increased number of people looking to rent rather than buy a home makes it easier for investors to find and keep renters. The increased number of distressed properties on the market that are selling below replacement costs, coupled with a lack of new housing being created, makes purchasing now to sell later a viable option for investors. As markets move back toward the mean and rental rates increase 3-5% year-over-year, investors will be able to see a positive return on investment coming from the appreciation of their asset(s). In addition to receiving a return in the future from selling the property, investors can cover costs of mortgage and maintenance, and even gain an additional return on investment with the rent payments of the tenant(s). 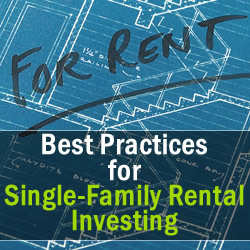 Investors who see the paradigm shift from a “fix and instant flip” strategy to that of a “fix, hold and rent” strategy, are in a unique position to capitalize on one of the fastest growing components of the rental market—single-family residence rentals. And it’s not just “mom-and-pop” investors and service companies who are doing this. Over the past few years, a tidal wave of institutional investors has accumulated hundreds of thousands of homes. Recent data shows that institutional investors (defined for these purposes as entities purchasing at least 10 single family homes within a calendar year) purchased a combined total of 366,206 single-family homes from January 2011 through November 2013. At the beginning there was no lack of supply. Single counties hit hard by the foreclosure crisis yielded thousands of potential distressed home purchases every month. Markets such as Memphis, Fresno, Charlotte, Atlanta and Phoenix saw large volumes of purchases from institutional investors early on in 2012. But as availability of inventory—particularly distressed inventory—started to dry up in some of those first-wave markets, primarily in the west, institutional investors moved into a second wave of markets, many in southeastern cities, such as Jacksonville, Fla.; Winston-Salem, N.C.; Tampa, Fla.; Lakeland, Fla.; and Macon, Ga. Although the accumulation of single-family homes by institutional investors has created operational challenges and complexities never before seen in the market, most experts agree that SFRs are a sustainable business model. Do your homework. Research the market you plan to invest in, or align yourself with a group that has local market knowledge and resources to react quickly in that market. Each opportunity must be evaluated independently for property condition, local hazards, and fit with investment objectives.Proper due diligence is critical, as operators embark on a long-term relationship with every home in their portfolio. Unlike an apartment building where an investor can acquire multiple units using a common set of resources, every SFR is different—even when they’re purchased as part of a pool of homes. Be patient. For every property they acquire, investors have to start with a pool of many more—as the housing market is very competitive. Even the most aggressive buyers only win a fraction of their homes. Rely on trustworthy on-the-ground resources. Investors need access to on-the-ground resources and experience to source a steady supply of homes, understand the appropriate value, assess the cost of required renovation, establish clear title, manage the escrow process, understand any HOA restrictions or other tax considerations that would impact the investor’s return on their home. It is also imperative to build strong vendor relationships (i.e., with maintenance professionals, etc. ), or engage with a professional asset management company. Be available. Constant communication and follow up with tenants/occupants and leasing professionals is key. Set expectations from the start to avoid unnecessary issues (e.g. payment issues). Have a local presence. Property managers must have a strong, local presence to ensure positive rental outcomes, good tenant relationships, and low vacancy rates. Local property managers can manage tenant relationships and rent collection in such a way that tenant issues and delinquencies are resolved quickly. Customer service specialists can foster positive, collaborative relationships with tenants. Invest in operations to ensure high service standards. As the SFR industry becomes more mature, operating standards required by the market are likely to rise. Property managers must make investments in scalable operational processes and systems to achieve the required high service standards in tight timeframes. Managers must be able to rehab, rent, maintain, and respond to issues in a scalable manner. Know the costs. Costs vary across geographies and investor strategies. Where some investors prefer to purchase properties requiring only minimal rehab, others cast a broader net to include properties with meaningful amounts of renovation required. It’s important to consolidate administrative functions and optimize the placement of maintenance resources. Learn from experience. With experience and analysis, seasoned operators will find opportunities to improve performance of their portfolios. Operators will look back at their experience and find ways to hone in on mispriced properties. Those with large footprints will identify variations in expenses and investment returns across the country. Those working on behalf of investors will be able to advise their clients on how to make smarter decisions. Understand the risks. The SFR strategy is a bet—not only on the continued demand for rental housing and the strength of home price appreciation—but also, on a long-term path to liquidity for investors. Large firms bought heavily before there was a clear path to liquidity; betting that something would emerge, by public offering REIT, securitization, or simply a maturing industry of SFRs where stabilized portfolios could be sold to other players at non-distressed prices. Thus far, the bet appears to be paying off. Public offerings of Silver Bay, American Residential Properties, and American Homes 4 Rent along with the first-ever securitization of rental homes by Invitation Homes—at a very low rate—have demonstrated that public market investors buy into the potential of SFR rentals. With the influx of institutional capital, it is becoming harder for individual investors to compete and find the best investment opportunities on their own. Partnering with a company that is experienced in residential investing and property management can save investors time and money by providing them with local industry knowledge and in some cases a fully integrated service platform. 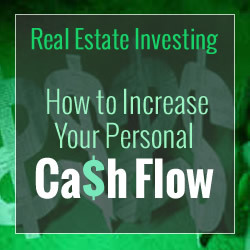 Real Estate Investing – How to Increase Your Personal Cash Flow? One of the popular methods of personal wealth building is to increase your cash flow by making an investment in the properties. Think about the common fact that housing is a representative of the consistent tangible need and people are striving every now and then to buy the house. So this will remain as the best strategies in order to increase your personal cash flow thus building your personal wealth. Of course, there are great chances of becoming a rich and wealthy person by doing real estate, but on the same hand, there are chances in losing huge money if it is not done in a proper way. Getting an experienced mentor: There are plenty of successful people in the real estate investment business that have increased their personal cash flow to a great extent. By taking the guidance of the known person who is successful in making money will help you in real estate investment. The cash flow was increased to them with the same kind of investment barely by knocking the doors of schools. The reason behind this is that, as it is an education of trial and error method in the property investment, it will cost thousands of dollars to be invested. So it is very crucial to get a successful mentor who is trustworthy in the field and competent enough to guide you in learning about the investment in property related issues, thus increasing your personal cash flow. Know your financial status before investing: Prior to the investment in the real estate in order to increase the personal wealth building or personal cash flow, it is important to know that the things are together with respect to home and finance. It means to say that the investment or expense is around 70% of the net pay so you must be sure that you have sufficient money in reserve to cover your expenses during emergency conditions. You must make a good and consistent habit of keeping around 10% of income for the next investment. This will lead you to mainly focus on your investments for increasing the cash flow without worrying whether you need to invest money on the mortgage. It is also suggested that prior to your move in the real estate investment to increase the personal wealth building or increasing the cash flow, it is necessary to get the clear and written snapshot of your present financial situation. 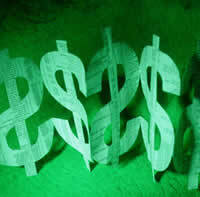 This gives you a brief idea regarding the financial investments and money flow. Spend some time in making certain predictions: Before making an investment on the rental properties or on the property that you are planning to sell it is always suggested to make a practice of making certain predictions or look into the tax appraiser’s website. They will guide you in taking certain important steps and also make a habit of driving around your town to know about the present opportunities that are available for your investment. By doing these tasks, it will help you in building the confidence before starting the investment in the real estate industry to increase the personal cash flow. Taking the guidance of few websites also fetches ample information regarding the real estate investment. They mainly emphasize on giving tips and suggestions regarding the investment on the property, even for the newcomers of this business. If you did not get the successful mentor to start this investment business, then you can take the help of online websites that is available to help you. If you have any doubts or queries you can get it clarified right away, without waiting for a long time. The professional will answer to all your questions regarding the investment on which you must do. You can also contact few real estate companies, which can help you to increase your cash flow, but the only thing you need to do is to make sure that the company is reliable and trustworthy. In order to know whether the company is trustworthy just search about the company on the internet. What are Some of the Issues Surrounding Residential and Commercial Property Planning? If you’re looking to add to your home or extend your property in any major way, it is likely you will need to get planning permission for the privilege. While planning permission is not required for every type of property development, it is a complicated and in-depth process, so checking out your rights is important before you begin. There are many important factors that are worth remembering before you do so, though. Here are a few things to consider. Before you set out to extend or alter your property, it may be useful to check out the details of the building so that you know what your options are. A structural survey may be useful to check the foundations of your property are in good condition, and speaking to architectural services may be of use if you would like further information about the processes involved in gaining permission. One of the main issues around residential or commercial property planning is that it pays to keep to the style of your surroundings. If the renovations you want to make are drastically different to the houses or buildings around you, it’s likely that your request will be denied. Older properties or buildings in more traditional areas are particularly susceptible to difficulty in gaining permission, as the majority of properties will be in keeping with a particular style. Likewise, you need to bear in mind the impact your planning will have on your neighbours; if it will cause a lot of noise and disruption, you may find that your local council will deny your request. Of course, it is unlikely that you will be able to avoid such a thing, but it is something to consider in terms of the length of time it will take to carry out your renovation. Many people avoid extending or making alterations to their homes as it’s believed to be a huge undertaking in gaining permission to do so. But while many alterations don’t require planning permission, those that do are not always as complex as they first appear. Many local authorities and councils are more than willing to offer help and permissions where necessary if you can prove that you have done your research. It pays to provide councils with sufficient research into the area and your property, so as much information as you can offer will help you in the long run. Improvements to a commercial building are similarly complex. Generally requiring permission for changes such as extensions or changes of the use of space over shops or offices,it is likely that commercial property owners will have to deal with acquiring planning permission. As with residential property, conservational areas require more in-depth planning than modern buildings. The renovation of a property, whether to extend and add value or to simply create a more desirable property for it‘s owners, is often a complex venture but one that, with a little forward planning and research, can be made simpler. James Stephenson works with planning commissions to ensure properties adhere to rules and regulations put in place by local authority and national government. Are Commercial Property Investments in Large U.S Cities at Risk? After a strong end to 2011 and an even more positive start to this year, it was hoped in many circles that the economy, and in particular real estate markets, was on the right track towards sustained recovery. While property investments remain much stronger in larger cities, New York included, there is cause for concern that the stuttering recovery being experienced by many other towns and cities across the United States could ultimately bring growth in the larger cities to a halt, too. The reasons for these fears are well founded and much could depend on how both the investment community and those looking to buy or rent commercial properties adapt. While many property investors understandably place their focus on the potentially more lucrative yields to be had in larger cities, having one source of revenue is not enough. For this reason, property investors look to smaller markets for a secondary income or yield in order to supplement their investment in the bigger gateway cities, or to compensate if there is a shortfall at any time from what is still a volatile sector. Of course, the problem at the moment is that these secondary markets are not delivering in any way, shape, or form. There is probably not even any mileage for investors in taking a speculative punt, given the way many property markets are still reeling from the wreckage of the global financial crisis when it bit worst four years ago. Another issue is that many banks and other lenders are continuing to be strict with regards finances to be invested in lower end properties and markets. With all of the focus on the bigger cities, what are the likely outcomes for commercial property deals and investments? To their credit – no pun intended – many financial institutions are recognising that their approach is creating a barrier of sorts to rejuvenating properties outside of the big cities. With a greater focus and impetus, this could enable the gap to be bridged to the larger markets and see the currently underperforming cities eventually become more attractive opportunities. Two less likely options are that there will continue to be a strong focus exclusively on the bigger cities, or that property investors will withdraw altogether. These options are so unlikely as they are unsustainable and unrealistic. A focus solely on more lucrative markets would see the eventual collapse, again, of all property investment markets as there would be far too much competition and a saturation of higher end property investments which would be unsustainable and will need to be avoided at all costs. 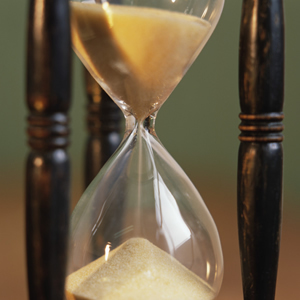 While the withdrawal of investors to protect funds is more plausible, it remains unrealistic as experienced investors are nothing if they are not patient, and will happily ride out the storm until high yields return, rather than risk missing out altogether when the markets recover. Harworth Estates are a real estate company with a great portfolio of commercial properties for businesses. If you are looking for a commercial property for sale, HE is a one stop shop where you can choose from many options and also get advice on which ones are best for your business.